At first glance, UAS insurance and marketing seem unrelated, yet both are critical to the success or failure of your firm’s adoption of UAS technology. Insurance is critical because just one accident and the attendant liability can put you out of business. Additionally, your clients will want you to have this coverage to protect them. Marketing is important (but often neglected) because it helps your firm enter the UAS service sector. Marketing gets you into business; insurance keeps you there. I found this out when I asked my car and home insurance firm (one of the biggest U.S. insurance firms) if they carried UAS/UAV/drone insurance. “No” was their answer, but they did give me a name of a firm that could provide this coverage. So, you can start by asking your carrier if they can either provide this coverage or refer you to a firm that can. Google shows 644,000 hits for “drone insurance,” so you should have plenty to pick from, including giants like AIG. 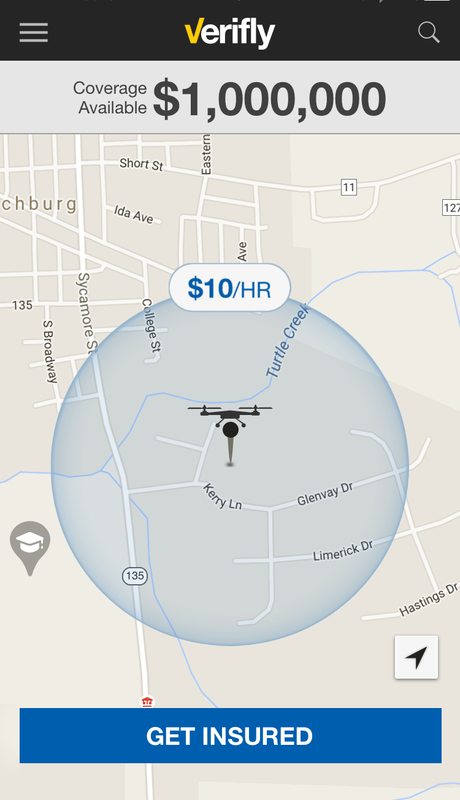 Here’s another possibility that has just hit the market: Verifly, an on-demand, app-based UAS insurance provider. They cover both commercial and recreational operators, and fees start at $10 per hour. How do they provide such low rates? Verifly’s policies and premiums are tailored to flight location and are hourly-based. The lower the risk (low/no population, remote areas) and the shorter the mission (most are under one hour) means low rates. Verifly’s policies are underwritten by Global Aerospace, Inc. The system is simple. Install the Android or iOS app and provide a name and credit card information to get started. Verifly uses your smartphone to find your location and coverage area. The ongoing gold rush of firms offering UAS-related services doesn’t mean your firm should market its UAS services. It means you have to! Start by defining and differentiating your service: the general (non-geospatial) population doesn’t understand the difference between aerial photography and aerial mapping/surveying. Make sure your promotional materials define that difference, along with what you do and how it differs from “a kid with a Phantom.” Where and how to promote? Update your website for starters and call attention to your new services right on the home page. What about social media? Twitter? Facebook? YouTube? Instagram? Yes on all counts, please! Tell all your existing customers of your new offerings through newsletters, emails, mailings, and so on. Don’t forget to update all your directory listings (print and online) to reflect your new UAS services. You’ll also want to “think outside the prop.” Why not hold a demo event where you can invite prospective clients and show off your new UAS tech? Finding a suitable area could be a challenge; one way would to be to exchange aerial mapping services for use of a flying area. A good example, though not especially geared to marketing a single firm, is shown in “UAV Fly-off” from last spring.